The United States Department of Justice recently released a summary of recoveries from False Claims Act cases for Fiscal Year 2017. The report, which was released in late December 2017, indicates that the DOJ recovered over $3.7 billion in settlements and judgments from civil cases involving fraud and false claims during 2017. One thing is evident when examining the report. The lion’s share of recoveries come from the health care industry. Almost $2.5 billion of the $3.7 billion in total recoveries involved health care providers and others in the health care industry. This is not a new trend. Health care has led in recoveries with over $2 billion per year for the past 8 years in a row. The department’s health care fraud program is intended to restore assets to federally funded programs, such as Medicare, Medicaid, and TRICARE. By all reports, health care fraud and abuse recovery is big business for the Federal government. The details vary, but reports indicate that the government receives between seven and ten times return on every dollar it spends on pursuing health care fraud and abuse cases. Recent revisions to Federal False Claims Act penalties increased the maximum penalty per claim from $11,000 to $22,000. This increase is likely to result in even more aggressive enforcement and an even higher percentage return on the government’s investment in this area. The high potential financial exposure is intended to deter others from committing health care fraud. 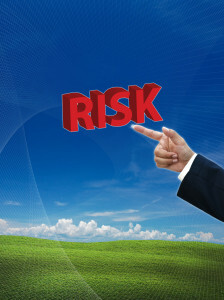 Additionally, the high potential exposure provides an incentive for providers to put in place proactive compliance programs to help identify errors and instances of noncompliance that could eventually result in unmanageable penalties if allowed to emerge through discovery by government audits or a whistleblower complaint. It is generally much preferable for a provider to discover and correct a problem on its own initiative rather than exposing itself to draconian penalties. This entry was posted on Thursday, December 28th, 2017 at 2:06 pm	and is filed under Compliance Programs, False Claims Act, Fraud and Abuse, Self-Disclosure. You can follow any responses to this entry through the RSS 2.0 feed. Both comments and pings are currently closed.